The runaway angel princess and the four guardians of Heaven – who are in search of her in the human world – are on a field trip. But the princess, who is still disguised as a school boy, is plagued with more troubles as always. Will the guardians be able to save her from all the trouble?! Also, the secret past of beautiful Ah-Hin and powerful Woo-Hyun is about to be revealed. What will be waiting for them after the trip? This ridiculously funny and charming fantasy will draw you right into their world. A fight between the members of the four guardians of Heaven breaks out as Woo-Hyun battles to win Ah-Hin’s heart! As more characters from heaven and hell come to the human world to search for our runaway angel princess, Dong-Young is feeling more pressured. 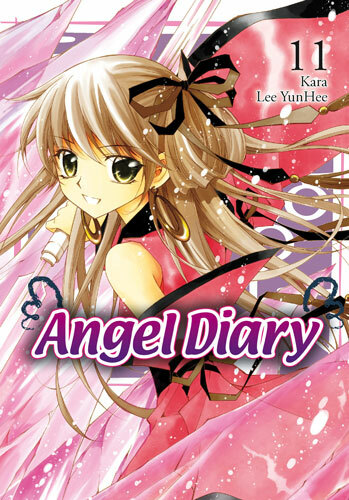 Her mysterious classmate, Bi-Wal, turns out to have a fiance who also came to the human world to find the Angel princess of Heaven. Will Dong-Young finally get caught? Mi-Hyang – Bi-Wol’s fiancee who has a serious crush on him – also comes to the human world determined to get rid of the angel princess. Assuming Ah-Hin is the princess, she tracks her down, only to capture Dong-Young by coincidence. But who knew that Dong-Young was the real princess?! With her secret identity revealed, will Dong-Young be able to escape from this pinch?! Princess Dong-Young is kidnapped by the powerful demon, Se-In. With the help of B-Wal, Doh-Hyun the Black Turtle attempts to rescue the princess. Just when you think it can’t get any worse, Ryung enters the scene out of nowhere… and more secrets are revealed about the characters’ hidden pasts! Dong-Young confronts Bi-Wal and lets slip a confession of love! But with her engagement to the King of Hell, does this budding relationship stand a chance? As the guardians argue about what to do, Queen Hong appears with an even more earth-shattering revelation! The search for the demon Se-In and Bi-Wal’s brother Ryung brings about some unlikely alliances between heaven and hell. Confused, Dong-Young seeks out Bi-Wal but once again finds herself with Se-In’s life in her hands instead! As the injured Se-In’s feverish dreams reveal more about the bond between him and Ryung, Dong-Young is torn between watching over him and fretting about everyone else’s reaction to her harboring a demon. Little does she know a climactic confrontation is in the making! Enraged at the wounds sustained by Se-In, Ryung Jin lashes out at the injured Black Turtle, Dong-Young, who tries to protect him, and even at his own beloved brother, Bi-Wal. Will Hell’s family ties ever be re-bound?  With the confrontation between Hell’s siblings past its climax, Dong-Young uses her Winter General powers to salve Ryung Jin’s heart, providing him with a means to save Se-In…in a manner of speaking. 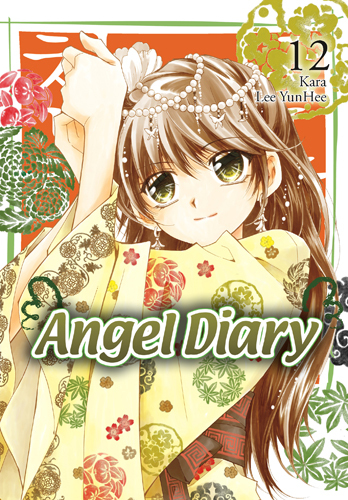 And that’s not the only surprise the princess of Heaven has up her sleeve as she announces her royal aspirations to the world in this exciting installment of Angel Diary! Dong-Young quickly sets her plan to become the Queen of Heaven in motion by returning to the palace, the remaining Guardians in tow. Meanwhile, Bi-Wal goes back to Hell to bide his time until he can meet Dong-Young again! But can his love withstand the test of time?! Dong-Young is well on her way to becoming the Queen of Heaven, and she and Bi-Wal are now married to boot! But what about the people who helped the two get here? 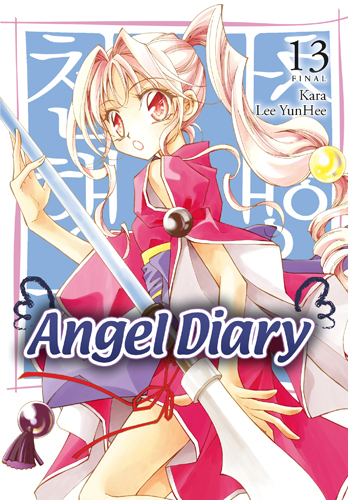 The stories of Bi-Wal’s right-hand man, Hee-Young; Ah-Hin, the White Tiger; and Ee-Jung, the Red Phoenix, share the spotlight in this final volume of Angel Diary!